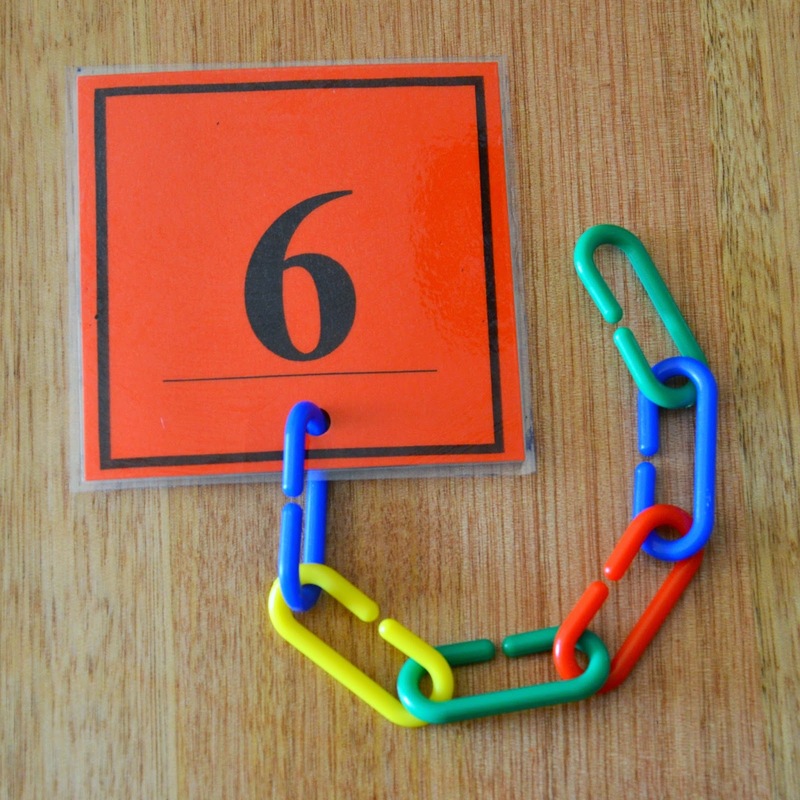 One of my all time favourite posts was Twenty Six Letters - a post full of hands on ideas to teach young children the letters of the alphabet. I've always wanted to do a similar post about numbers - so here it is! 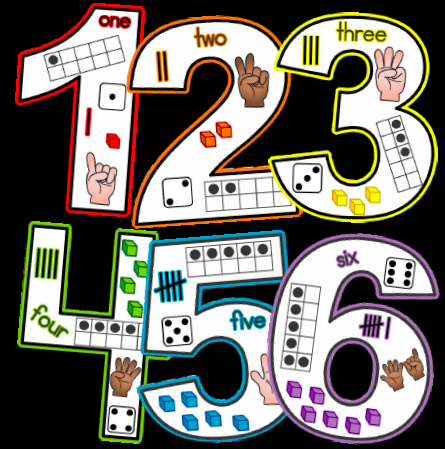 The thing with children learning number - is that there is so much to it. 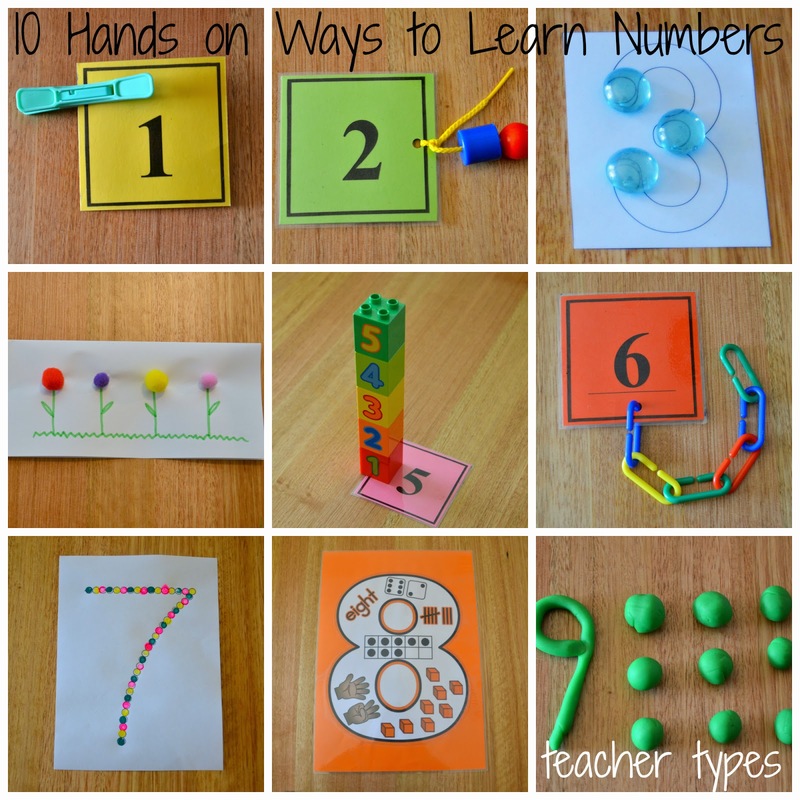 Recognising the numeral, writing the numeral, counting and most importantly knowing how to represent that number (e.g. 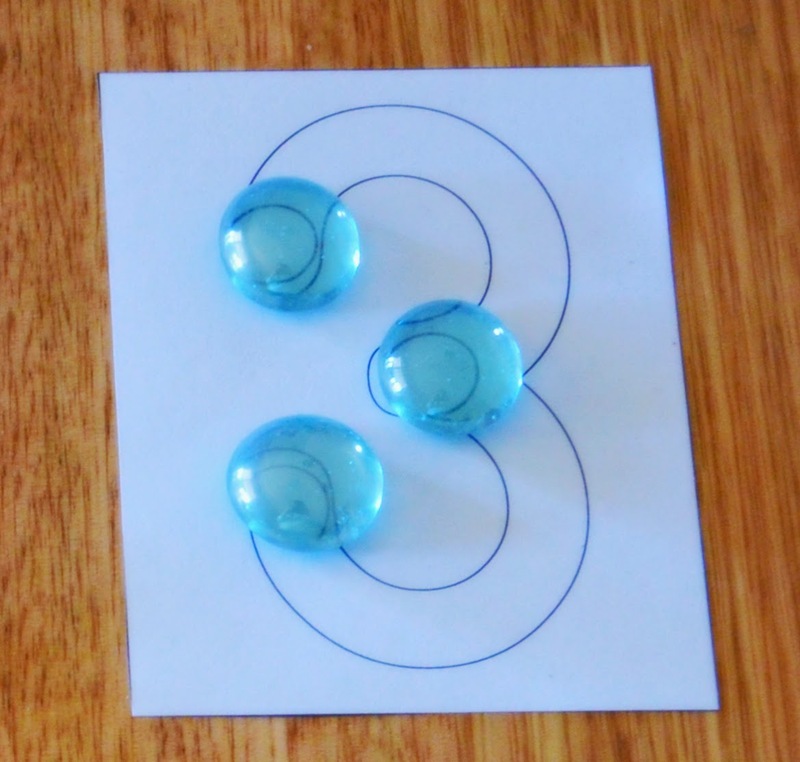 the number 4 corresponds to a group of 4 counters). 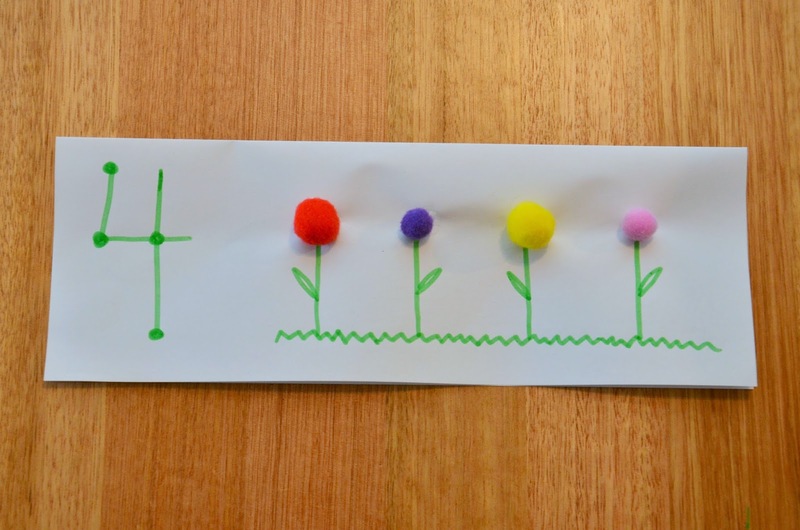 As with all early learning - young children are more likely to be engaged if the task is hands on and play based, and that's what I've tried to keep in mind while coming up with this collection of ideas. 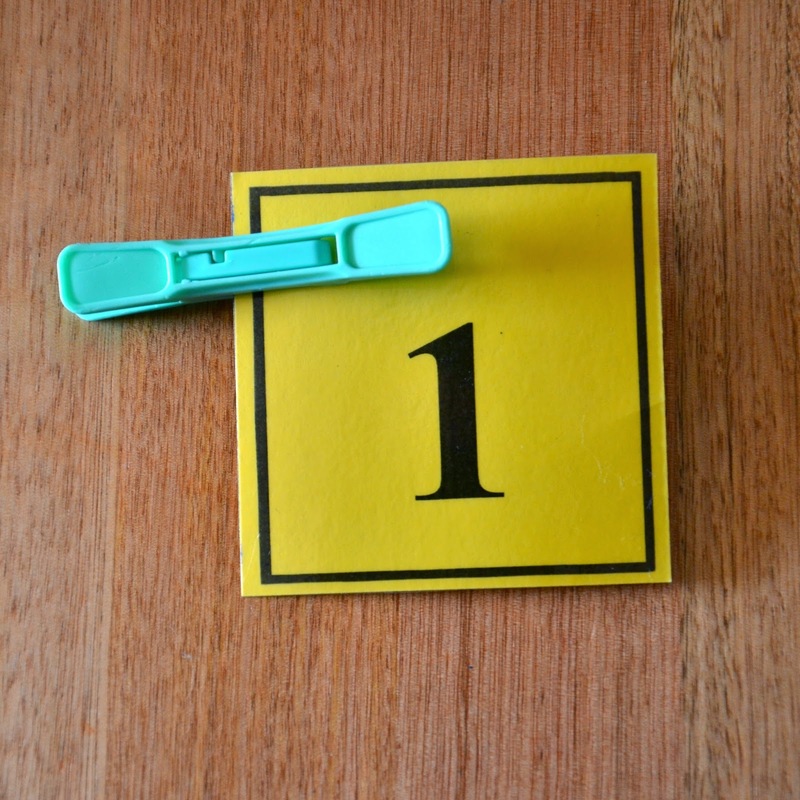 Place the right number of pegs onto the number or dice pattern flash card. 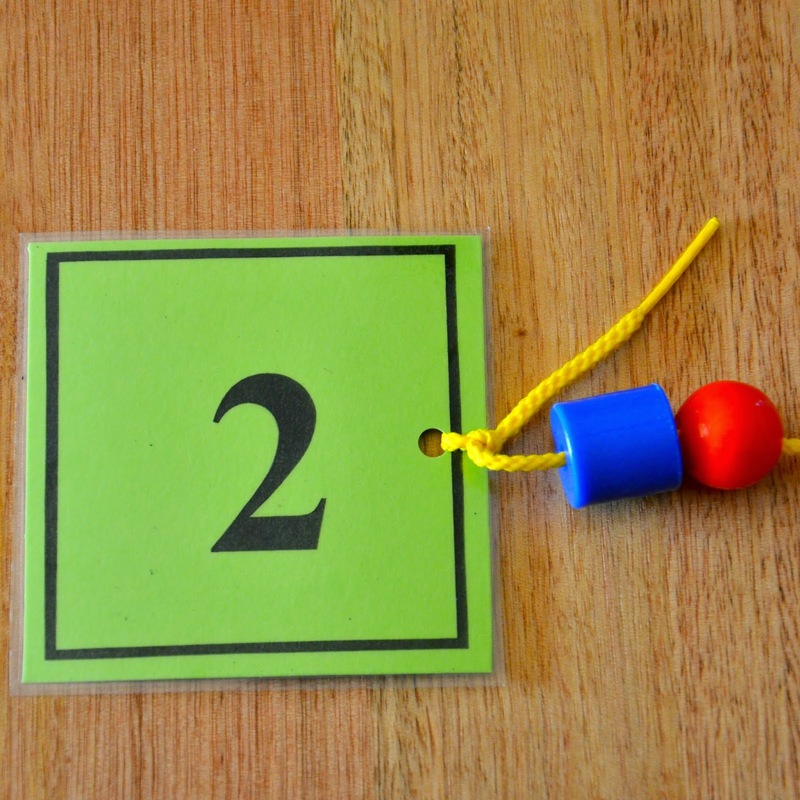 Thread the right number of beads onto the number flash card. Extend this idea by using a whole bingo board full of towers. Just like a 'number city'. (Click here to see an example). 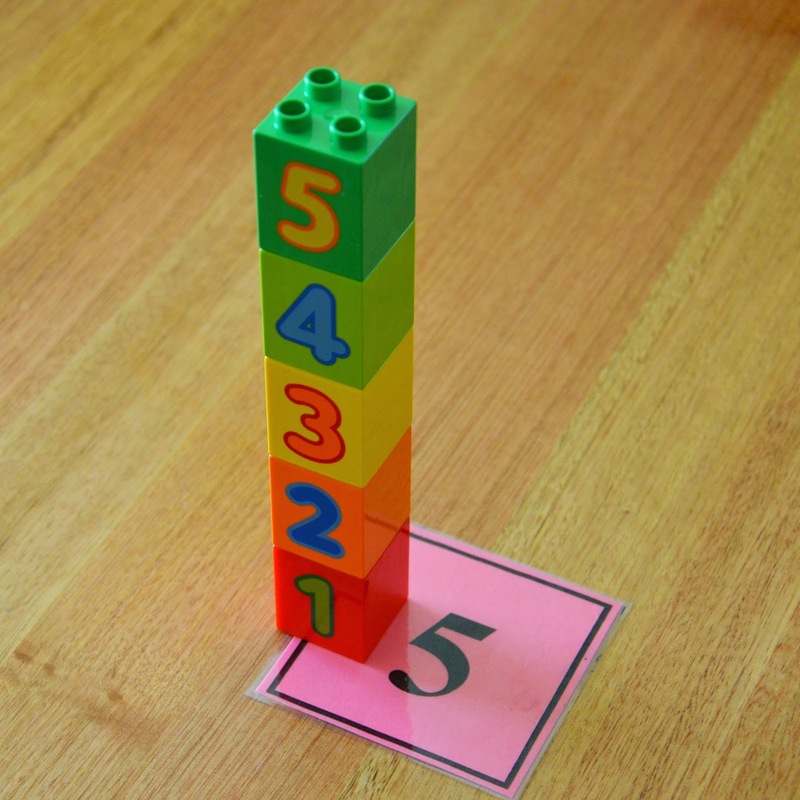 My students love playing with these linkies in class - but it's great to give them a bit of direction during their play. Little Miss M (2 years old) cannot get enough of play dough at the moment! 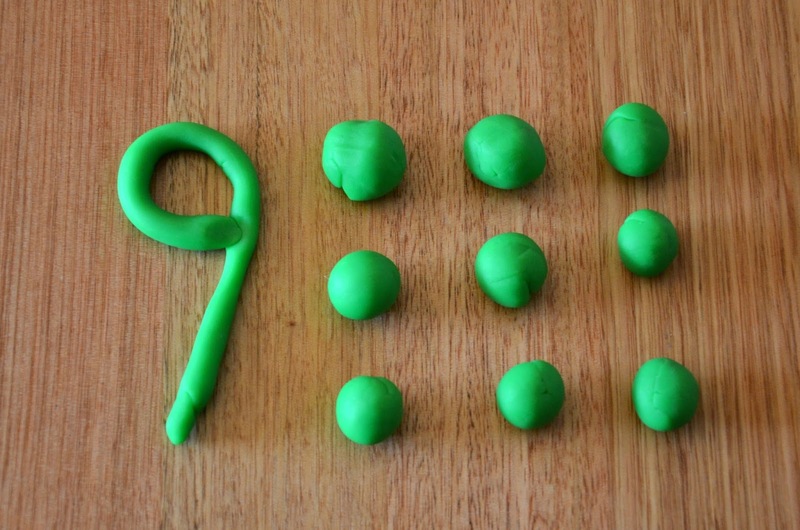 We made numerals and represented the number with play dough marbles. * Extra Idea! 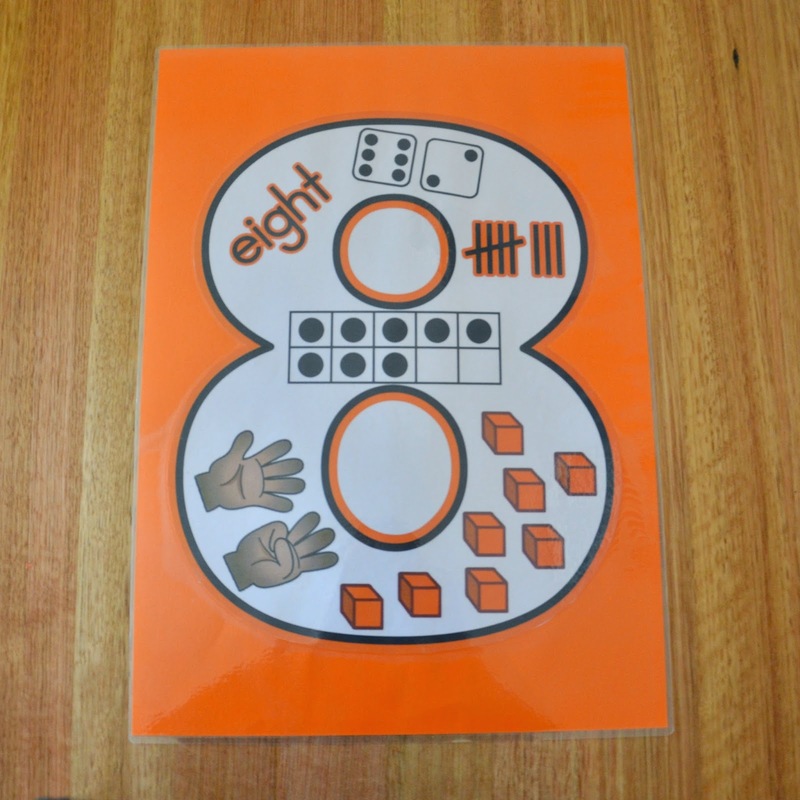 Number Puzzles. 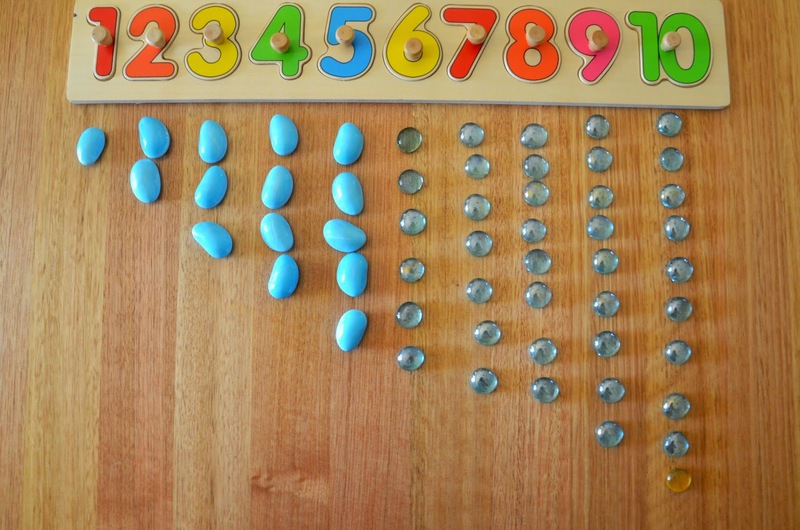 Extend this idea by providing counters or gems and ask the children to line them up next to each number puzzle piece (as pictured below). 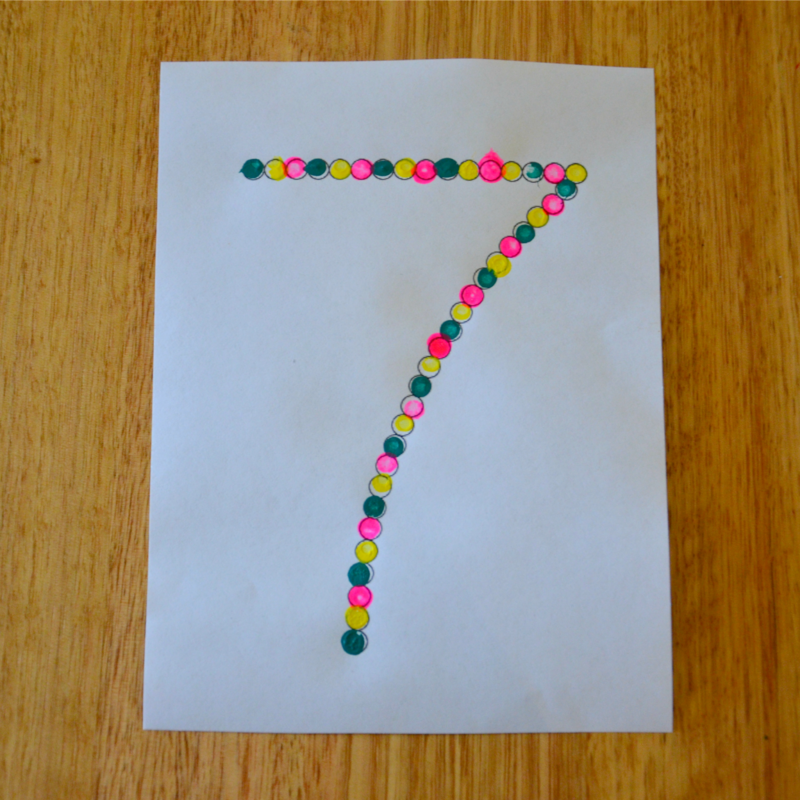 I hope you found some useful ideas in this number post!